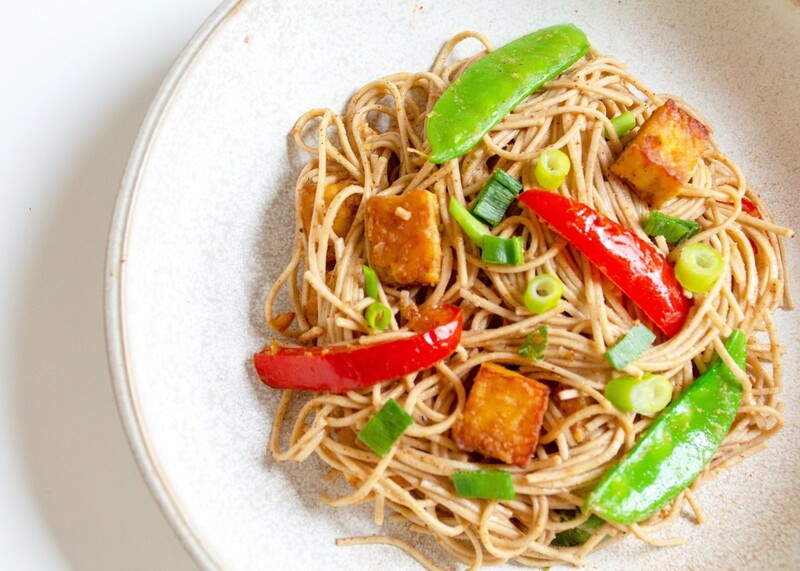 Anchored with two main ingredients to achieve umami, this soba noodle stir fry offers versatility to please all the dietary preferences in your household. Umami is described as the fifth taste after sweet, salty, acidic and bitter. A pleasant savory flavor achieved by one of the most versatile ingredients in Japanese cuisine: miso. Miso is a paste traditionally made from fermented soybeans, salt, and water. Other grains such as barley, rice, chickpeas, and even pumpkin can be fermented to produce miso. Though the base ingredient may vary, as well as the fermentation time (sometimes up to a year), there are only three main flavors, determined by the color of the miso. White, red and a combination of white and red are the three basic varieties of miso. A general rule of thumb is the darker the miso, the more intense the flavor. Miso is fermented, which means it has probiotic benefits that may help boost digestive health and immunity. Also packed with B vitamins, fiber, protein, vitamin K, copper, zinc, omega-3 fatty acids, and antioxidants, it&apos;s hard not to love it. Opt for organic and non-GMO miso when purchasing at your local grocery store. Nut Butters: Which One Should I Use? To answer the question, whichever one you want! 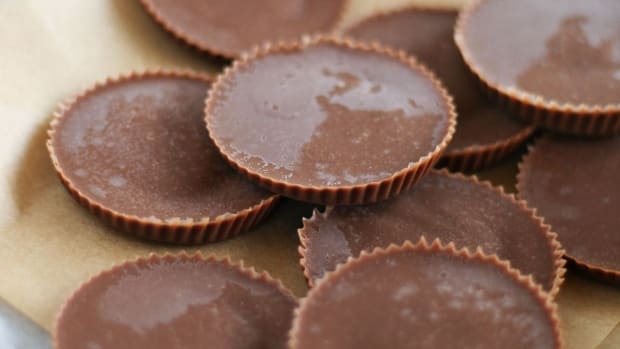 The peanut butter pantry staple days are over due to the assortment of nut butter on the market. Almond, cashew, walnut, brazil -- the list continues. 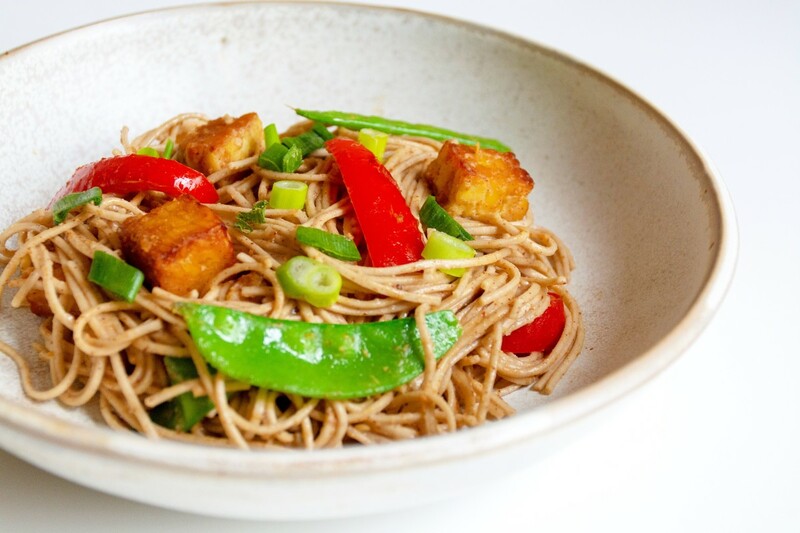 However, for this soba noodle recipe, almond butter is used. Loaded with antioxidants and packed with nutrients such as Vitamin E, Manganese and Magnesium, it&apos;s no wonder almond butter is a fan favorite. Don&apos;t have almond butter on hand? No problem. Any nut butter will work for this recipe. DIY Nut Butter Recipes: Almonds, Cashews, Pistachios - Oh My! 1. 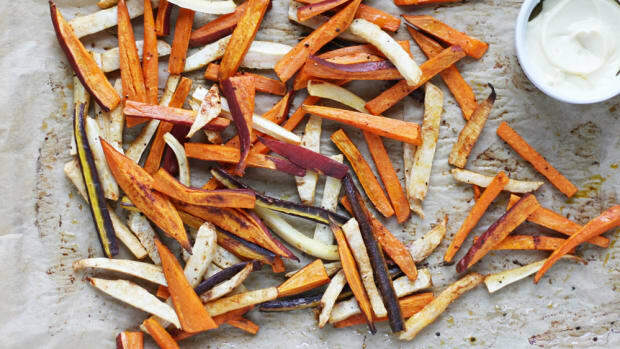 Chop your stir fry ingredients into 1" pieces and set aside. Feel free to substitute animal protein for tempeh and add or omit vegetables for stir fry. 2. In a bowl, whisk together miso, garlic, almond butter, hot water and splash of soy sauce or tamari. Add more water if the sauce is too thick. Set aside. 3. In a pot, cook soba noodles per packaging instructions. Drain once cooked. 4. While soba noodles are cooking, heat sesame oil in a deep pan or wok. With sesame oil, a little will go a long way (1-2 Tbsps). Add tempeh first and begin to cook on all sides evenly. Add red bell pepper and snap peas halfway through the cooking process. Do not overcook the vegetables; you still want a nice crunch and vibrant color in the pepper and peas. 5. Lower heat and add 1 to 2 Tbsp of miso sauce into tempeh mixture. Thoroughly coat tempeh and vegetables. 6. To the mixture, add the soba noodles and remaining miso sauce. Depending on the depth of your pan or wok, you may need to transfer noodles, tempeh, and vegetables into a larger bowl to mix. 7. Plate and garnish with scallions. 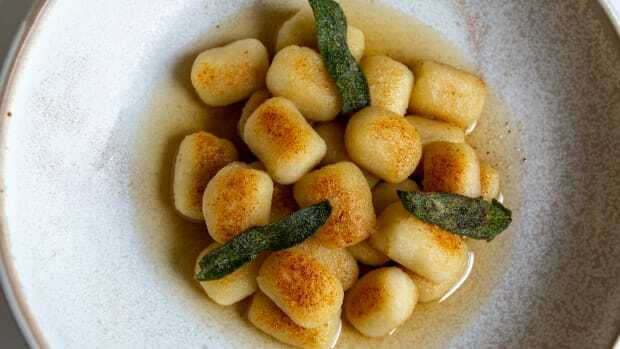 Is Trader Joe's out of cauliflower gnocchi again? We've got you covered! Create this DIY replica at home. Are you a hummus and guacamole fan? 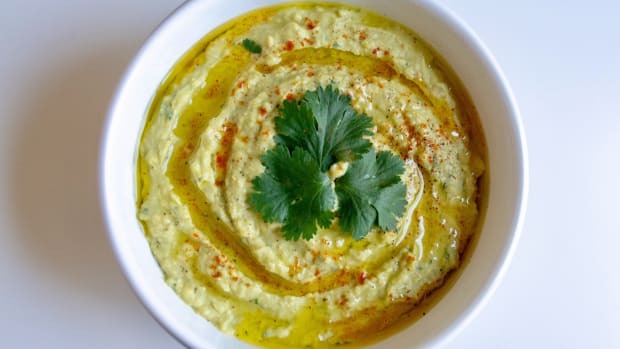 This delicious, nutrient-dense avocado hummus is a perfect snack for any occasion. 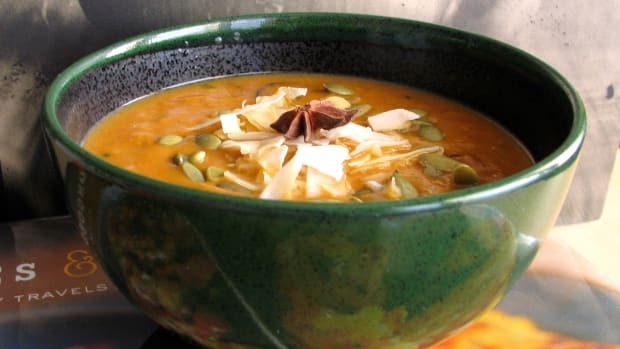 Enjoy a kabocha squash vegan Thai curry for a good dose of beta-carotenes, iron, and essential vitamins in this satisfying, warming, and healthy fall meal. Spring is in the air! 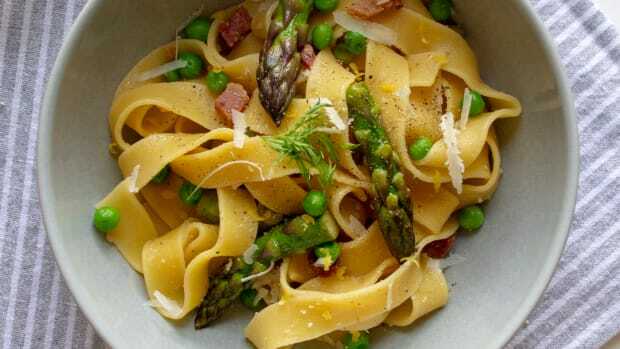 Dine al fresco tonight with this seasonal spring pasta. 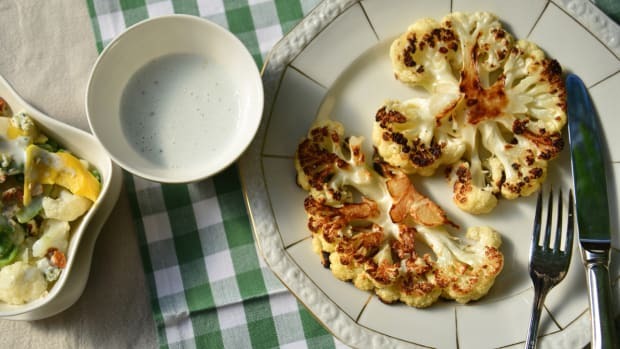 A classic casserole gone healthy! 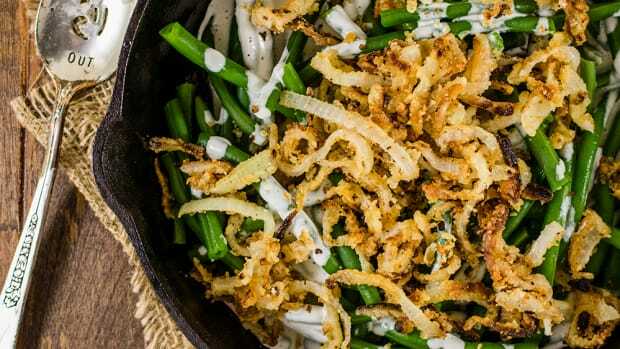 This vegan green bean casserole is made with fresh green beans, cheesy cashew cream, and crispy gluten-free fried onions.